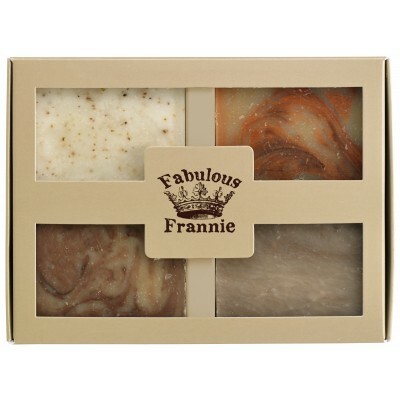 Enjoy the scents of the holiday season all year with this warm and refreshing kit of herbal soap bars. Peppermint essential oil and crushed peppermint leaves accent this soap, giving it a rich natural aroma. Ingredients: Olive Oil, Water, Coconut Oil, Palm Oil, Safflower Oil, Peppermint Essential Oil and Peppermint Leaves. Our handmade Cinnamon Herbal Soap creates a wonderful lather with a delightful, yet subtle mixture of earthy, spicy and bright aromas. Ingredients: Coconut Oil, Olive Oil, Safflower Oil, Palm Oil, Water, Lye and Cinnamon Essential Oil. Our all-natural Bay Rum Herbal Soap features the classic aroma of Bay essential oil with a touch of Cinnamon and Orange to add a spicy kick. Ingredients: Palm Kernal Oil, Water, Safflower Oil, Coconut Oil, Olive Oil, Bay Rum Oil, Cinnamon Oil and Sweet Orange Essential Oil. 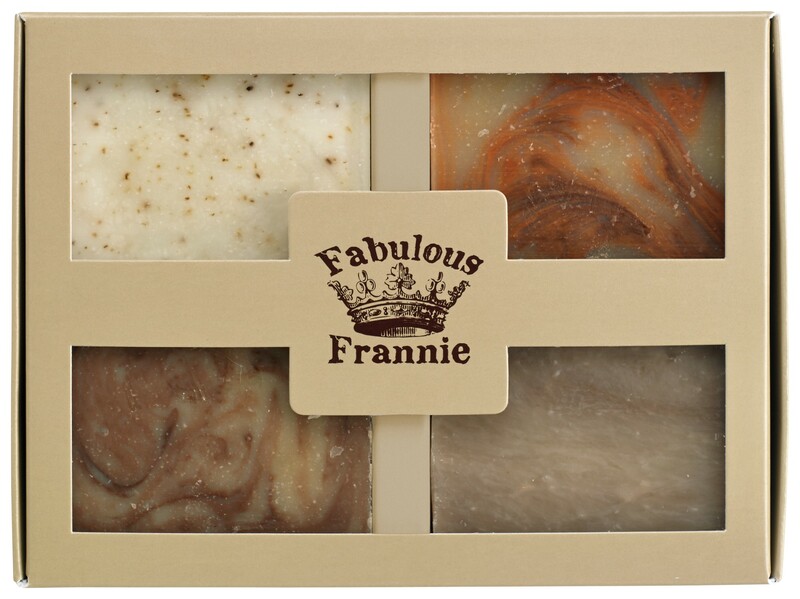 Frankincense & Myrrh Herbal Soap combines two of nature's most decadent gifts into one convenient bar. The earthy and somewhat sweet aroma will certainly tempt you to bathe more than usual! Ingredients: Palm Kernal Oil, Water, Safflower Oil, Coconut Oil, Olive Oil, Frankincense Oil and Myrrh Essential Oil.